Anfang August ist die neue EU-Verordnung 2017/1369 zur Festlegung eines Rahmens für die Energieverbrauchskennzeichnung in Kraft getreten. Sie gilt unmittelbar in allen EU Mitgliedstaaten. Die bisherige EU-Richtlinie 2010/30/EU wird aufgehoben. Die EU-Verordnung 2017/1369 bringt einige Neuerungen für Lieferanten, Hersteller und Importeure sowie Händler mit sich. Die wichtigsten beziehen sich auf die Neuskalierung des Energieeffzienz-Labels und die Einrichtung einer zentralen Produktdatenbank. Zukünftig sollen Produkte nur noch mit den Energieeffizienzklassen A bis G gekennzeichnet werden. Die bisher gebräuchlichen Kennzeichnungen A+, A++ und A+++ zur weiteren Differenzierung innerhalb der höchsten Energieeffizienzklasse A entfallen. Neben der Angabe der tatsächlichen Energieeffizienzklasse, in die das Produkt fällt, muss zusätzlich das komplette Spektrum der Klassen angegeben werden. Die Mitgliedstaaten werden die Verbraucherinnen und Verbraucher über die Einführung der neuen Etiketten informieren. Es wird erwartet, dass erste Produkte mit dem neuen Energieeffizenz-Label im Jahr 2020 im Handel zu finden sind. Die neu einzurichtende Produktdatenbank soll aus einem öffentlich zugänglichen und einem nicht-öffentlichen Teil bestehen. Der öffentliche Teil enthält Daten, die die Lieferanten beispielsweise in Produktdatenblättern und auf dem Etikett angeben müssen. Verbraucher können so Produkte besser vergleichen. Auf den nicht öffentlichen Teil der Produktdatenbank haben nur die Marktüberwachungsbehörden und die EU-Kommission Zugriff. Die zentrale Erfassung von Unterlagen zur Konformitätsbewertung soll eine effizientere Marktüberwachung innerhalb der EU ermöglichen. In the Official Gazette No. 4579 of the August 14, 2015 the Saudi Standards, Metrology and Quality Organization (SASO) announced that the Standard „SASOXXXX:2015, Energy Efficiency, Functionality and Labeling Requirements for Lighting Products, Part1“ entered into force on August 14, 2015. Manufactures have a period of six month to adjust their products to the requirements of the technical regulation. 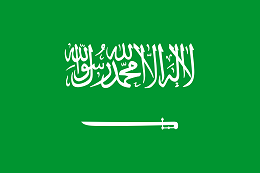 Registration at SASO is mandatory in order to access the Saudi market. The Saudi Arabian Standards, Metrology and Quality Organization SASO has recently published a draft version of the standard “SASOXXXX:2015, Energy Efficiency, Functionality and Labeling Requirements for Lighting Products, Part1”. The draft standard focuses on indirect and direct lamps having a luminous flux above 60 lumens or below 12 000 lumens. These lighting products have to fulfil a variety of requirements with respect to electrical safety, electromagnetic compatibility, performance, functionality, marking, energy efficiency and hazardous chemicals. When it comes to substance restrictions, the standard basically follows the requirements of EU Directive 2011/65/EU, with the exemption of Mercury. 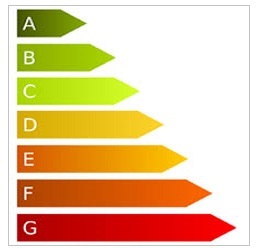 The draft standard requires an energy efficiency label for all products in scope. This specific label for lighting products differs from the so far established energy efficiency label for household electrical appliances and is similar to the respective EU label. In UAE, lighting products have to fulfil a lot of requirements regarding energy efficiency, hazardous chemicals, and electrical safety. On December 31, 2013 the cabinet of UAE released Decision No. 34/2013, amending the Technical Regulation 28-11-2012 “On the requirements for approval and registration of lighting products”. The requirements of the Technical Regulation became obligatory on July 1, 2014. 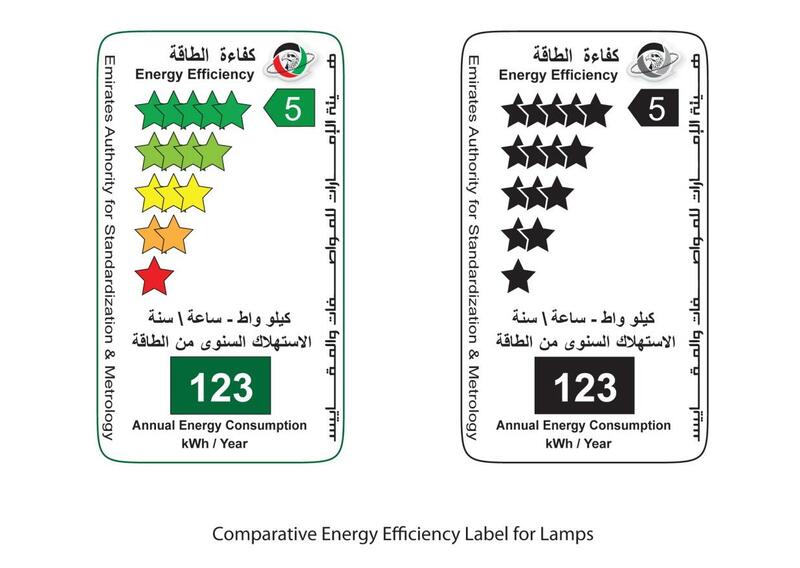 Regarding energy efficiency, lighting products which are imported into UAE have to be labelled accordingly. Existing products on the market will be tolerated until the end of 2014. As of January 1, 2015, non-compliant products are banned from the market. • Luminaires and Control gears for general lighting purposes. The German Oberlandesgericht/OLG Koeln (Higher Regional Court) has passed the following sentence regarding energy efficiency labelling of computer monitors: These devices have to be considered as television monitors if they are equipped with HDMI (High-Definition Multimedia Interface), irrespective of having non-standardised video signal paths like DVI and SDI at the same time. 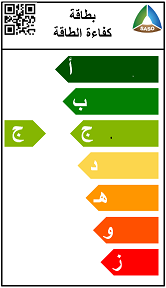 Therefore such monitors have to be marked with an energy efficiency label indicating the energy efficiency class. The labeling requirements are based on Regulation (EU) No 1062/2010 of September 28, 2010. In the respective case a German retailer had placed an advertisement for a video monitor with HDMI (among other technical features) without indicating the energy efficiency class of the device. The OLG Koeln classified the monitor as television monitor because of the HDMI video signal path. With this court ruling retailers are obliged to check if products they offer to end-users are labelled accordingly. They also have to indicate the energy efficiency class of the device in any advertisement, if energy-related or price information is disclosed. Therefore, the court issued a cease and desist order against the German retailer with a penalty of 250.000 Euro for each case of non-compliance. Retailers and manufacturers of a computer monitor which fulfil the criteria of a television monitor due to HDMI are recommended to label the device: German market surveillance authorities are expected to base their surveillance practice on this sentence.